An artistic, sunny, modern city with many sight seeing attractions. You can visit the famous Basilique Notre Dame de la Garde, the Opera Municipal de Marseille or the Parc National des Calanques. A good way to visit any of the parks or going to the beach is by a rental car. We offer cheap car rentals from several pick up points in Marseille. As one of the largest cities in France, Marseille is also one of the best-known, particularly among tourists. The city sits on the Mediterranean coast and has a stunning harbour and coastline. The city has plenty of attractions for holiday makers and many come simply to soak up the sun on one of the beaches. With so much to see in the area, those who want to do more than get a tan could opt for car rental to ensure that they are able to travel around in comfort and style. As with many French cities there are different districts to Marseille. Visitors can spend time browsing the markets in the old port area of the city where they can also take a trip on one of the pleasure boats. This is a great way to spend a few hours and kids will love the boat tours. Alternatively, you may be more interested in the historic attractions of the city. Why not pay a visit to the Basilique Notre Dame de la Garde which is just to the south of the Old Port area? The city is also home to ancient forts and an abbey, so there are plenty of opportunities to find out more about life here centuries ago. If the beaches get too crowded then pack a picnic and make the most of Marseille car hire to head to one of the city’s many parks. These include the Parc Borély and the Jardin Pierre Puget. These are great places to mingle with the locals and enjoy some of the stunning scenery. Those with an interest in literature might have heard of the Château d’If. It featured in ‘The Count of Monte Cristo’ by Alexandre Dumas. This is a castle which was used by a prison and visitors are able to see the cells in which the prisoners were kept. This castle is on an island but the boat trip is only very short. Back on dry land, the Centre de la Vieille Charité is a building which dates back to the 17th century and used to be a hospice and workhouse, but tourists can now see various exhibits as it is home to the city’s Archaeological Museum and a museum which showcases art from all over the world. Car hire can be useful for taking the family to the Palais du Pharo which dates from the 19th century and has amazing views of the sea. There are always plenty of events taking place here. Marseille car rental is ideal for getting around and making every moment of a luxury holiday here count. Why miss out on anything when you can see it all by travelling in complete comfort? When traveling we advise to carry some Euros to avoid any unwanted surprises. At many airports there are Money Exchange offices in order to change your local currency. The local time code for Marseille is CEST. When traveling to Marseille make sure to check the local weather conditions in order to avoid any unpleasant surprises. 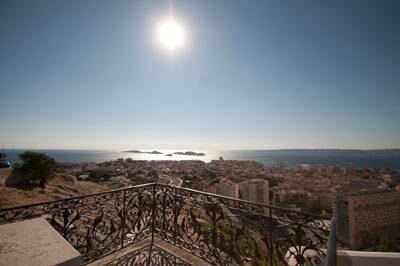 Marseille has approximately 852,516 inhabitants. Parking your rental car in Marseille Airport can best be done in a garage. Its safer for you and your rental car. There might be the possibility to park your rental car in the outskirts of Marseille Airport and move around by public transportation which is not too expensive and will compensate for the parking fee you will need to pay if parking in the city center. Take in mind that many big cities have a city center only accessible for locals or delivery purposes. Last month, the average car rental length at Marseille Airport was 5 days. The average rental car length at Marseille Airport is 5 days. The most booked rental car type currently at Marseille Airport is MINI cars. Last year, the most booked rental car type at Marseille Airport were MINI cars. How much does it cost to rent a car at Marseille Airport? Last month, the average car rental price was 136 USD. Last year, how much did it cost to rent a car at Marseille Airport? Last year, the average car rental price was 230 USD. What is the current average daily price to rent a at Marseille Airport? Last month, the average rental price was 25 USD per day. How much did it cost to rent a car at Marseille Airport over the past 12 months? Last Year, the average rental price was 45 USD per day. The car rental companies available at Marseille Airport are: Alamo, National, Enterprise, Firefly, Interrent. See below last 5 customer reviews. Our customers rated Marseille Car Rental with an average of 10.00 based on 1 ratings.